The victim broke down in tears as she told how her life had been “destroyed” by the youth who cut through her windpipe in a horrifying murder attempt and “left her for dead” by the seafront in Dun Laoghaire. She said she would struggle to "ever forgive him." The woman, now aged 27, was making a harrowing victim impact statement at the Central Criminal Court this afternoon. The boy, now aged 16, pleaded guilty to attempting to murder her at the seafront, Queen’s Road, Dun Laoghaire on 23 December, 2017. “This incident has affected me emotionally,” she said in her statement, which was initially read out by prosecutor Paul Burns SC. “I am having flashbacks which are causing me distress. This is also affecting my sleep with nightmares. My emotions are destroyed and I am struggling to trust people. I would admit I am a different person and I am afraid of teenage boys ordering from me in the Chinese takeaway," the statement continued. Weeping and wiping her eyes with a tissue, she then read the rest of the statement out in full herself. “After you repeatedly stabbed me I woke on the seafront in Dun Laoghaire with sea crashing against the rocks and the noise of seagulls squawking in the blue sky above my head. This dream was comfortable until I realised it was reality and I was alive in a pool of my own blood. I was wet and cold with blood. I was lying on my arm and could see the inner parts of my hand above my head, all yellow and red in colour. I was freezing cold and could not figure out whether I was clothed or not. I felt really sick from the sight of flesh. "You had left me for dead. "I tried to cry for help but nothing came out. I knew I couldn’t be seen where I was lying and knew I had to get out of there to survive. I walked up to higher ground as I was determined not to die,” the woman continued. “My body struggled to walk up the path, it was difficult maintaining my breathing after getting stabbed in the neck. My legs were weak and I eventually collapsed from blood loss. I am told today that was four litres of blood. I managed to wave at a passer-by above me on the path and only for him you would have succeeded in my death. When I could not speak and nothing was coming out I put my hand to my neck and realised there was a gap in my neck with blood on my fingers. “I remained clam as I did not wish to die. I can only thank everyone who assisted me when I was on the brink of death. I was relieved (the accused) did not steal my phone as I knew all the evidence was on it, I do remember the gardai having my phone and handbag and this put me at ease. “I tried to tell the garda (the accused’s) name but I was powerless without my speech." She told how, on arrival at hospital the doctor tried to speak to her. "When I spoke as loud as I could there was only a whisper coming out," she said. "I could cough through my neck with my mouth closed, this panicked me. I debated whether I was going to die as my body couldn’t bear the physical trauma anymore. Thank God I lost consciousness after this. 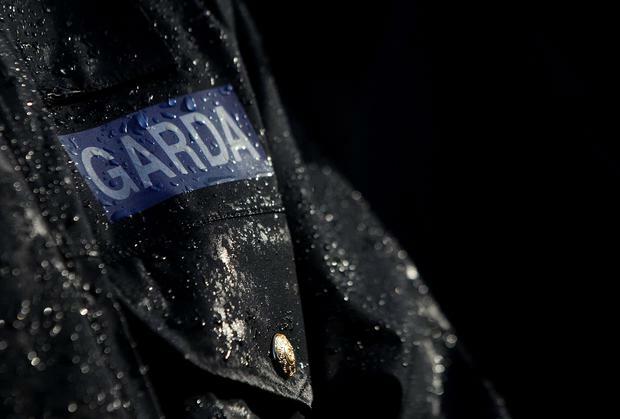 “After my operation I woke to family and gardai by my bed. I spoke to Det Gda Treacy and showed him the picture of (the accused) which led to a cry of anguish with a mixture of emotions running through my mind. She spoke of her relief that the gardai had her phone "with the evidence on it" but was also "tormented knowing my life nearly ended in your cruel hands". "I told the gardai everything about you in my faint and weak voice," she continued. "When they told me your age my head spiralled in confusion trying to understand how someone your age can have such evil intentions. While in ICU, I cried in fear of not waking up again. I knew you were so far away yet I could still feel your presence grabbing me from behind, frustrated at yourself for not actually killing me. “The scars you inflicted on my neck and hand will forever be a reminder of your demonic actions. You tried a number of times that day to lure me to isolated locations in order to fulfil your urges. Your persistence down at the water’s edge showed how determined you were to have me dead. Before I was removed from the ICU the nurses changed my dressing into a cast on my hand. “I watched in fear and anticipation, not knowing if I still had my thumb or not because I was so numb. After the final dressing unfolded my heart broke as I stared at the stitches that went from the front all the way to the back. I didn’t cry in pain or despair, I cried because I struggled to understand why it was necessary to stab my hand while I was unconscious. You destroyed my life." “The year 2018 has been consumed with doctors’ visits and hospital," she continued, reading her statement. "This could have been done without but I am lucky to be alive and that I am grateful for. “Counselling sessions were filled with nothing but denial and acceptance, I was in denial to accept a young teenage boy premeditated to kill me. And why? “The flashbacks were experiences I did not prepare for, going to the sea triggered it all again, your rough arms around me trying to take my life. Again I am searching for answers, why did you cut my throat and thumb when I was out cold and unconscious? Why? “You have taken my life and happiness and everything that goes with it. I will struggle to ever forgive you. I know I will have complications in later life with my hand and thumb, this will remind me of (the accused) for the rest of my days. For now, I want, I hope and I do the hard work of healing, looking forward to the day when I will be free from the tortures of my mind and past. All I can do is trust and believe because the thought of this lasting for the rest of my life is so intolerable," she concluded. Earlier, the court heard when gardai arrested the boy, they found he had deleted the Whisper app from his phone around midnight on December 24. He had also carried out web searches about the stabbing. The blood on his backpack was a match for the young woman's. Det Gda Daniel Treacy said there had been a “huge amount of pooling of congealed blood” at the scene which suggested she had been there “a while” before she was able to get up. The victim believed the cut to her hand was not all caused by her grabbing the knife, but that there was a second cut after she passed out. The victim was an Irish national living in south Dublin with her family and working at two jobs at the time. The case had been listed for trial before the accused changed his plea. Mr Justice Michael said the woman had shown “tremendous courage” in reading the victim impact statement herself. He adjourned the case to April 12, when he will make a formal order for a pre-sentence psychiatric report.